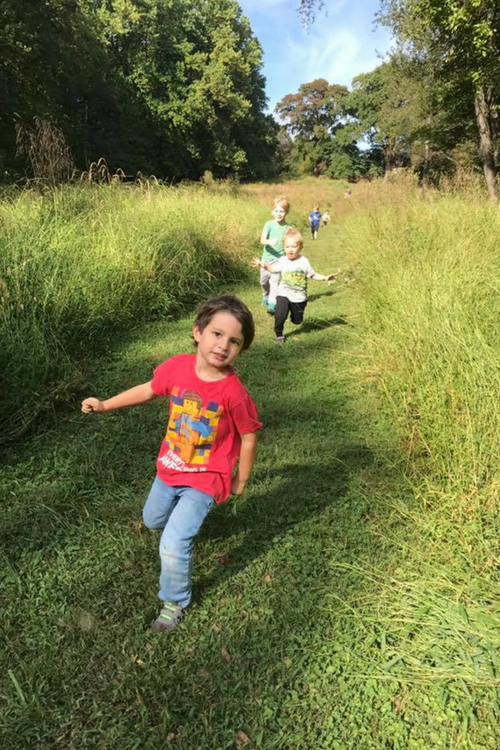 Is the Audubon Nature Preschool right for my family? ANS’s 40-acre Woodend Nature Sanctuary provides a unique home for our preschoolers and their families. 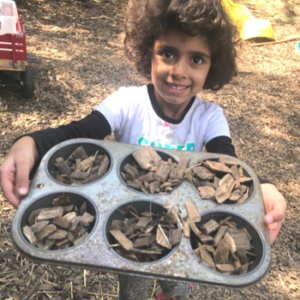 This natural environment serves as a one-of-a-kind green venue for creative language, artistic, musical expression, hands-on observation, and discovery. Does your family support process-based learning? Our curriculum emerges from the children’s interests and follows the seasons. Children are naturally curious about the environment and we let their natural discoveries guide our explorations. Our program includes a balance of teacher-directed and child-directed activities. Teacher-directed activities include group meeting/circle time, journals, cooking projects and science experiments. The remainder of our program time is centered on child-directed activities such as our learning centers (art, blocks, easel, dramatic play, sensory table, discovery table, book nook, etc). Materials are rotated to spark and extend children’s play themes. Many preschools place greater emphasis on finishing an end product rather than on acquiring knowledge through self-paced activities. Our curriculum focuses on the experience and children being in the moment. Our student-centered, process-based philosophy introduces young students to a lifetime of learning. 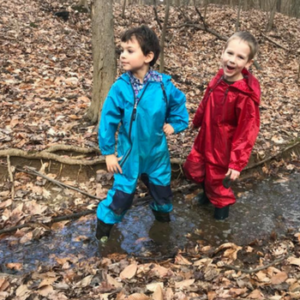 Does your family support outdoor learning in all kinds of weather? Our school days are spent outdoors, rain or shine. Our students come to school prepared for all of the elements. Wet and rainy days provide some of our most magical experiences. 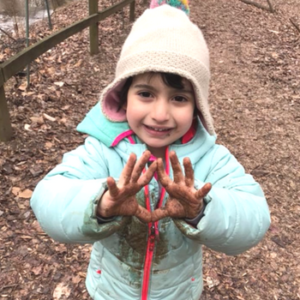 Our forty-acre nature sanctuary is never the same place twice and our students engage with the environment and build knowledge in deep and meaningful ways in all types of weather. Families are our partners and ensure children are properly dressed for the weather each day. We see a direct correlation between how dirty and messy children get and how happy they feel. Does your child have severe environmental allergies? Children are exposed to pollen, tree nuts, seeds and other potential allergens. Children must be well enough for vigorous, active, outdoor experiences. “Let’s just stay inside today” to avoid exposure to allergens is not an option. This would significantly limit a child’s involvement in our program and detract from the overall learning environment that we strive to maintain. Is your family interested in supporting a “green” lifestyle? Central to our preschool philosophy is that we are all Planet Pals. We focus on ways we can take care of the Earth. Families support this aspect of our mission by participating in trash-free snacks and lunches, participating in environmental clean-up days, reducing our carbon footprints, and reducing, reusing, and recycling as often as possible. Our alumni families go on to introduce and support green efforts in their elementary schools and neighborhood communities. Being green becomes part of each student’s identity. We are proud to be caretakers of the Earth. Does your family need full-day child care? Our preschool offers part-day options for children aged 5 and younger. We do not offer before or aftercare. At Audubon, our preschool offers a balanced mix of nature, nurture, and academic success. Our students learn kindness and cooperation, develop their imaginations, exercise curiosity, and build confidence, skills, and knowledge for the future and to protect our world.